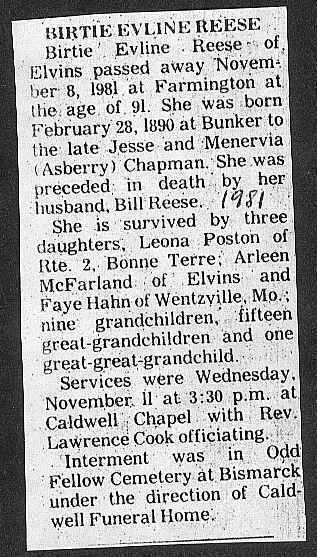 "Obituary - Berta "Birtie" Eveline Chapman"
Birth location: Bunker, Dent and Reynolds County, Missouri. Death location: Farmington, St. Francois County, Missouri. Burial location: Old Fellow Cemetery, Bismarck, St. Francois County, Missouri.